Dynamic diagramming is a powerful tool that can help you build a better foundation for any project. Designers, developers, marketers, and project managers alike can learn by diagramming their ideas and collaborating with others. Managing those involved in your project, team or business requires a keen organization for smooth operation, and diagrams are there to rein in that organization. 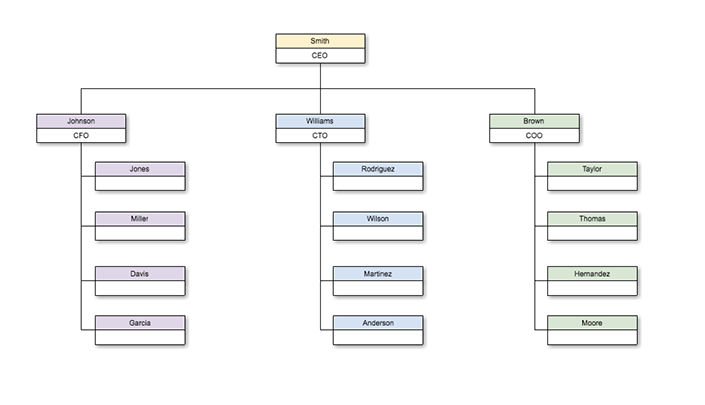 Charting out the hierarchical structure of a company or project team from the start is a huge step in streamlining an efficient workflow. Cacoo offers several business organization templates for you to build upon, depending on the needs of your particular structure. Once the team is assembled, it’s only a matter of time before the planning meetings begin. A clean and easy way to organize thoughts and notes is through mind-mapping. A mind map concisely condenses and organizes a web of ideas that branch out into categories surrounding a main topic. Say goodbye to pages and pages of notes and say hello to one wonderful web. Diagrams not only facilitate and organize communication, but they are also the actual meat of the communication that is shared, analyzed, enhanced, prototyped and developed. When designing apps, websites, services, narrative video games, and software, or when analyzing business work processes, it is important to map out where every outcome, interaction, choice, and selection may lead. You need to Know Your Flow! 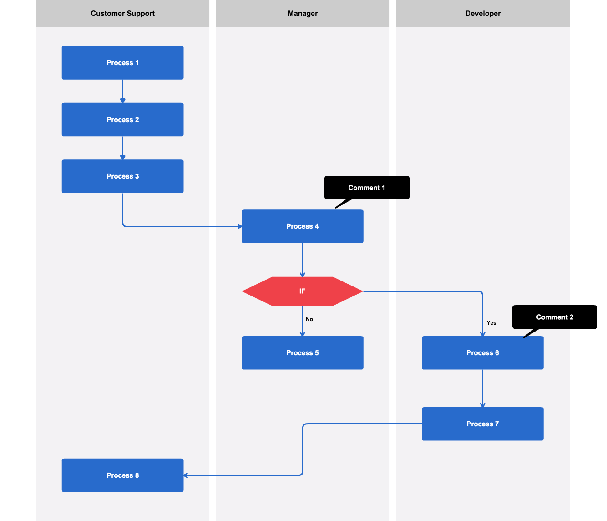 Flowcharts are used to map out the flow of any product, service or process, a rabbit hole of possible outcomes that troubleshoot your product as you create it. Let the “If this, then” mantra guide you through creating this detailed diagram. Your flow chart is key to informing the UI of your design, how a user will navigate your site or play your game, or even call into your automated system. It is the floor plan that informs programmers, designers, architects, etc., the parameters of how and what they must create for the interface of your product or service. The flowchart leads you right to your wireframe, a visual layout of the design that implements the guidelines of the flowchart and works hand-in-hand with it. 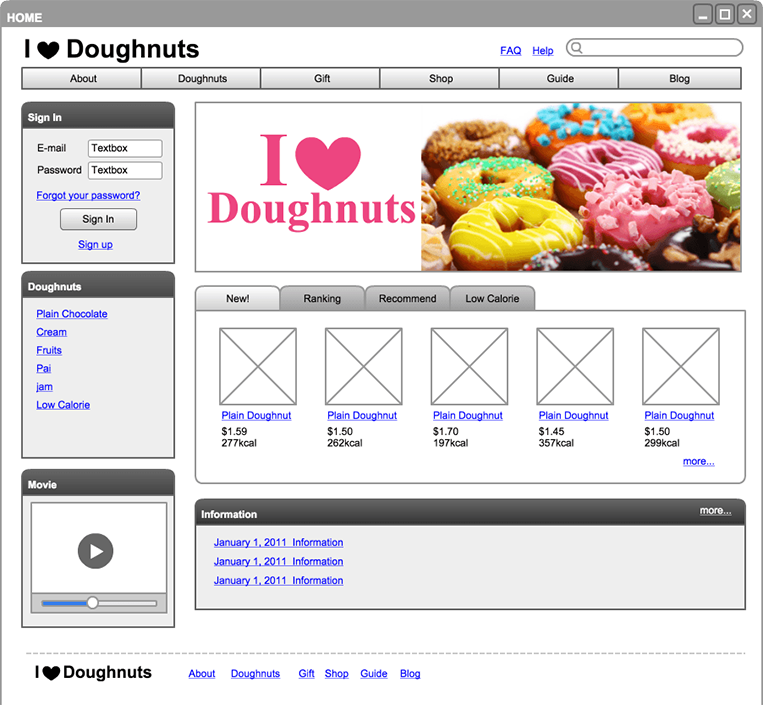 A wireframe is the elevation plan, the graphical mock-up of your product, creating a tangible, visual design that illustrates the product and its flow. 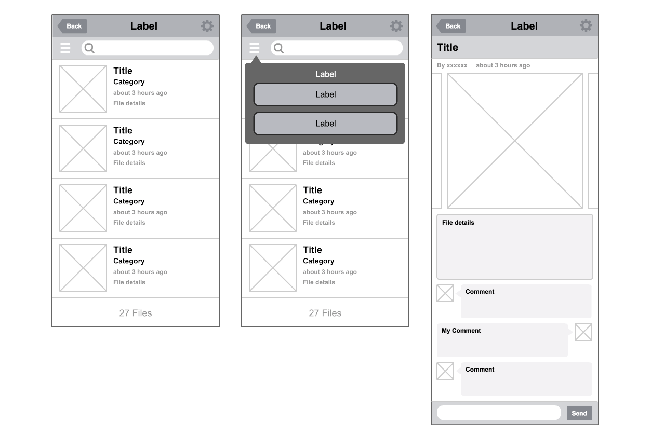 Together the wireframe and flowchart can be used to develop a prototype, the next step in making the product come to life. No great project goes un-presented. Diagramming tools such as Cacoo provide the perfect climate for making presentation slides. 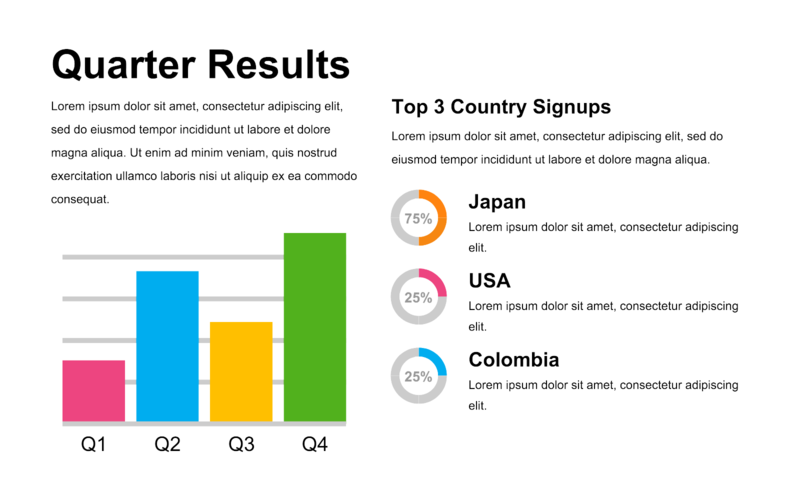 Create unique graphs and images for data visualization, add images and text, and insert original diagrams such as wireframes and UMLs that were used in the process. You can say that products begin and end with diagrams, and the presentation is a clear example of diagrams coming full circle. The diagram toolbox is not limited to these applications. Rather, it is an endless supply of customizable tools that enhance communication, design, efficiency, and structure. Whether your business already embraces diagramming or if it is new to the tool, it will certainly benefit immensely from this powerful resource. 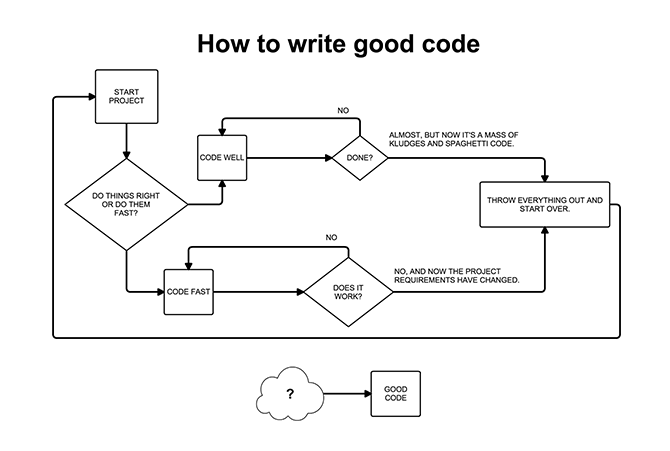 WARNING: Diagramming is addictive. Signs of addiction include sudden organization, creative inspiration, and the need to Venn diagram every life decision. Don’t worry; you are not alone. You are just in the right wire-frame of mind. Angela Perrone Angela Perrone is a member of Nulab, the creators of Cacoo.